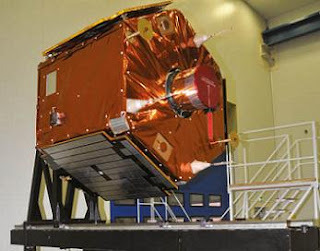 On 18 Dec 2012, Turkey successfully achieved orbit of their new earth observation satellite, Göktürk-2. 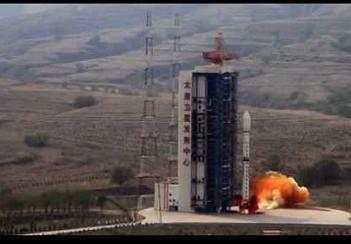 According to an article on NASASpaceflight.com, the satellite was launched from the Jiuquan Launch Area 4 in China, and successfully achieved low earth orbit within hours. Göktürk-2 launching aboard a two-stage Chinese rocket. Göktürk-2 will capture both panchromatic (black and white) imagery with a resolution of 2.5 meters, and multi-spectral (color) imagery with a resolution of 10 meters. Multi-spectral imaging captures different wavelengths of light separately, allowing researchers to compare and analyze different types of light to gain detailed information about conditions across the earth's surface. For example, multi-spectral satellites can map vegetation health by comparing how much visible light plants reflect with the amount of reflected infrared light. Stressed vegetation reflects more visible light and absorbs more infrared light than healthy vegetation, allowing researchers to use imagery to identify areas where ailing plant health may hurt food production, or to identify the impacts of global climate change on sensitive habitats. All of the software running on Göktürk-2 as well as 80% of the satellite's hardware was designed by the Scientific and Technological Research Council of Turkey (TÜBITAK), and assembly was completed by the TÜBITAK Space Technologies Research Institute (TÜBITAK UZAY) and Turkish Aerospace Industries (TUSAŞ). The satellite showcases Turkey's rising status as a technological powerhouse, and will prove to be a major strategic advantage by providing Turkey's Defense Department with remote imagery from countries around the globe. Göktürk-2 in the lab before leaving earth. Many countries already have satellites orbiting the globe for a variety of purposes, such as imagery collection, communications, and navigation. Over 200 publicly and privately owned satellites have been launched from the United States alone. Turkey no longer must rely solely on data provided by the international community to map and research important environmental phenomena, and can now produce such data first hand. Göktürk-2 is part of a family of satellites planned by Turkey to further facilitate data collection and augment existing intelligence resources.